With its amazing scenery and spotless pistes, as well as lots to do off the slopes, Courchevel ski resort is a very popular skiing destination in France. It's the largest ski resort in the renowned Trois Vallées area in France, an area so large it could contain America's largest six ski resorts, and offers a wide variety of skiing for every ability. Courchevel is a skiers' paradise, with 65 chair lifts and 102 excellent downhill runs. The resort is split into 5 different areas, with two resorts at 1300m, Le Praz and La Tania, and the higher areas of Courchevel 1550, 1650 and 1850, named after their height in metres. Courchevel is also great for more adventurous activities like off piste skiing, snowboarding and heliskiing. You can have a full day on the slopes and still get back to your chalet in time for your afternoon tea, or head down to one of the popular local bars or cafés. If you like the 'ski in, ski out' option, many chalets offer this, meaning you can spend as much time skiing as possible. The villages offer plenty to do off the slopes, either after a day's skiing or in the summer months. There are plenty of shops and cafes, and there is a local market once a week in Courchevel 1850. You will also find a library, swimming pool, art galleries, cinemas (the cinema in 1850 often shows English language films) and a wide variety of restaurants. There is a wide variety of sports shops that hire out skiing equipment for all the Courchevel resorts. With such a large skiing area, you can ski a different route every day. Courchevel is a favourite resort for snowboarders, with a snow park and baby pipe, canyons, dunes, and hoops. Courchevel has plenty of hiking options, from short walks to half-day hikes and excursions, a great way to relax and take in its amazing scenery. Pedestrian passes can be bought for some of the lifts and buses. There is something for everyone, with 17 km of walking trails, with 12 main paths for walkers and even plenty of options for snowshoe routes. Courchevel is a great destinations for cycling, as it's a renowned mountain bike centre, with 256km of marked paths, split up into 16 downhill circuits (use the ski lifts to reach these) and 13 round circuits. There are over 150 shops in the Courchevel area, from boutiques to luxury food shops, and plenty in between. Courchevel has an abundant quota of restaurants to cater for all tastes, and reserving in advance is recommended as they can get very busy. There is a wide variety of cuisines on offer, from typical Savoyard to seafood, crêpes, Italian food and even two Michelin-starred restaurants in Courchevel 1850. There are some English-run restaurants in Courchevel 1550 and Courchevel 1850. There are plenty of bars and bistros, as well as 3 cinemas and 4 nightclubs in Courchevel, so plenty to keep you busy long after you've come off the slopes. To relax after a hard day's skiing (or shopping! ), a relaxing drink or snack in one of Courchevel's many bars and cafes is an ideal way to unwind and discuss the day's events. There are may other ski resorts in the French Alps, for more information on one of them, please visit our Val D'Isere Travel Guide. These are highly recommended: fondues are very popular and crêpes made from buckwheat flour. Try some authentic Italian pizza available at many of Courchevel's restaurants. A wide range of fish is available, from oysters to prawns and much more. There is slope side accommodation with a total of 32,000 beds, with an additional 42 hotels nearby. Many of the main hotel sites will have listings for you. Find Courchevel Hotels. Courchevel's nearest airports are Chambery/ Aix-Les-Bains international airport (110 km away) and Geneva international airport (149km away). Lyon's St-Exupery international airport is slightly further away at 187 km. The national airline of France at www.airfrance.com. Many people choose to hire a car to drive Courchevel, (remember to take your driving licence as it is essential for car hire), either from a local airport or further afield. It is essential to drive carefully as the roads can be slippy, especially during winter. There is a free ski-bus service around all 4 levels of Courchevel, and it takes about 25 mins to get from Le Praz to Courchevel 1850. In low season they run once an hour; in high season twice an hour. There's also a regular bus service to/from Moûtiers train station. The nearest train station to Courchevel is Moûtiers-Salins. Please see the SNCF website (www.sncf.com) for details. The Eurostar is a great way to get from the slopes of Courchevel to France's major cities like Paris, Marseille and Nice, and onto London, Amsterdam and Brussels at high speed. French although English is widely spoken. 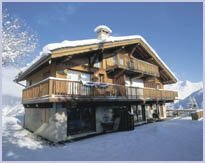 This information has been provided by a Courchevel chalet operator, Finlays Skiing Holidays (Finlay Ski ).